Many of use January as a time to set about our resolutions for the new year, and one of the most important and popular ones is a dedication to losing weight. Maintaining a healthy weight is important – not just for us, though, but also for our dogs. Smaller breeds are extremely vulnerable to weight gain, and packing on the pounds is not just inconvenient for your pup, but it can also adversely impact your dog’s health. 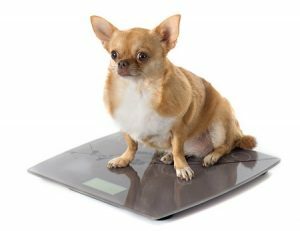 Let’s take a close look at some of the ways that overweight can impact your pooch with some help from The Dogington Post. Overweight dogs are more prone to suffering problems from arthritis. The extra weight they carry places additional stress on joints. This can cause limping or lameness, especially in smaller dogs, and over time carrying extra pounds and favoring certain legs or joints can lead to knee injuries, worsening joint pains and other related conditions. These joint problems are also some of the most expensive, with Petplan – a national pet insurer – telling The Dogington Post that vet visits for join repairs average nearly $3,500. Extra weight increases blood pressure in both humans and canines, which in turn puts more strain on the heart. As the heart works harder to pump blood throughout your pup’s body, it can lead to cardiac disease or underperforming organs. This could potentially lead to more expensive vet bills and even shorten your dog’s life. There have been strong correlations with obesity and cancer. That isn’t to say that extra weight causes cancer, but that related concerns from obesity has been associated with developing different types of cancer. Don’t let this be a concern with your pet – especially since cancer treatment for dogs averages around $2,000. Help prevent cancer by preventing your dog from putting on too much weight. Overindulging in food can cause intestinal discomfort, so it should come as no surprise that portly pups are more commonly seen at vets for issues with diarrhea or vomiting. Besides being unpleasant messes to deal with at your home, the sticker for a vet visit to address these concerns can range in the $800 range. To prevent obesity in your small or toy breed pup, it is important to ensure that your dog is properly exercised. You should try to play with your pup at least 30 minutes a day to ensure they get enough exercise. You should also measure out your dog’s food and make sure you’re scooping up an appropriate portion for their size. You can also help curb your dog’s overeating by switching rewards from treats to playtime. This gives them something they love and keeps them active – a win-win! Pauley’s Pups has more than 20 years of experience with smaller dog breeds, and can offer you tips on keeping your pup healthy and active. We also specialize in offering small and toy dog breeds, and we’ve got a selection of loving, wonderful pups to help bring love and companionship to your home. For more information on our available pups, call us today at 804-798-7877.